At one point in life, obtaining a house for yourself becomes a need. While some consider it as a milestone which is a measurement of success, some of us might consider purchasing a house for investment purposes. Whatever the reason is, discovering the house that you desire may be an easy step. However, the journey towards purchasing it and moving into your new home requires a lot of thinking and evaluation of every option that is available. Staying organized and focused is very important when you are planning to move into a new place. Step one – Analyze the requirement: Start making lists. Ah…don’t we all just love to make lists! On a serious note, obtaining the perfect house for you and your family depends on various factors such as the location, the number of members in your family, the allocated budget and the reason to move out. So making lists come in handy if you are bound to be lost in the plethora of day to day obligations. Before you start looking at housing options, take time to analyze your requirements. This would begin with the main reason for your plan to move into a new house. Is it because you want to move closer to your workplace or your kid’s schools? Are you planning on relocating to a city with a friendlier neighborhood? 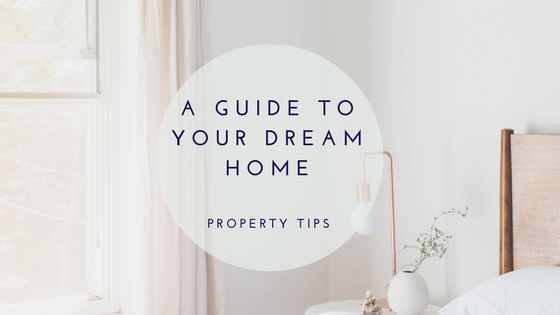 Obtaining a brief idea about your main requirements will help you visualize the bigger picture as to what you may want and make the entire house hunting journey less stressful. Depending on the location and requirement, property prices may vary. Luxury houses with facilities like parking, security and swimming pool are pricier in prime locations such as Colombo 03, Colombo 04, Colombo 05 and Colombo 07. If you seek quick access to surrounding urban facilities, we suggest you to look at the areas we have mentioned above. If you want more information about property pricing trends in various cities, we have written a property guide for you here. These days, living in a safe neighborhood is one of the most important needs of any home buyer. Due to this reason, it is important to thoroughly analyze your neighborhood before purchasing the property. When looking at a suitable location, start by looking at the necessary amenities you would want to be surrounded with. This will narrow down your search, giving you a few options to choose from. Spend some time in the desired neighborhood. Maybe you can speak to a couple of neighbors or even enjoy a cup of coffee in a nearby coffee shop where you can discover more reliable information about the particular location. Once you have spotted your dream house, consider its age. Buying old houses has its pros and cons. While old houses may seem attractive due to its old world charm, it might also incur unwarranted repairing costs in the future. Make sure you do your research before you invest in an asset as big as a house. Step five – The home style and facilities you need. Finally, you can look into the style of the house and the facilities you want in it. Remember that your house should be a place that you can proudly call yours. Therefore, before you purchase it, ask yourself if you are completely satisfied with the property. Some of the requirements that you will probably seek can be an area to park your vehicle, an outdoor garden, attached bathrooms, advanced security systems, adequate space for your entire family, a maid’s room and separate washroom, pantry area and a spacious kitchen. Houses with luxury modern facilities are ubiquitous in prime locations which we have mentioned above. However, if you are looking for houses with a smaller price tag, mid-range facilities and for a small family, then we highly recommend you to look in the outskirts of Colombo.